"Many of the things that C-Level people think is obvious isn't obvious to IT people," says Michael Barnes, the VP Research Director from Forrester Research. "Security can't be a bolt-on - it needs to be core'" Barnes says. An important challenge, he says, is that business is now in the "age of the customer". In the past companies existed for their own benefit. But this has shifted as technology is now more accessible and the barriers for customers to churn to alternative product or service providers are nearly zero. Similarly, the ability to enter an industry as a start-up or disruptor is also close to zero. Today's customers are increasingly digital he says. And they are mobile. "When we talk about mobile, it's about the mindset," says Barnes. In the past, he says, business meetings often focussed on who "owned the customer". But today, it's about who "owns the moment". This shift in how business operates means that, according to Forrester, is over 70% of IT spend is approved by the business. This is against a backdrop in how risk is assessed in the business. "We have gone beyond incremental business improvements'" he says. "The risk is in not changing. Customers are changing their behaviour faster than firms can evolve their business model". In this age of fast changing digital business security can't be a bolt on - it needs to be properly integrated and made part of a seamless experience. Development of new applications and experiences is faster than ever before because of agile development techniques and DevOps. All of this means the customer demand for a superior experience has created highly compressed business cycles that need to be securely supported by rapidly developing products and services. With the cloud being a strong enabler of faster and more agile business development, there's a need to change the way we approach security. This doesn't only cover data protection but also user authentication. Identity management needs to support multiple devices, platforms and both on-premises and cloud-based systems and services. With so many different parties now involved in the secure delivery of services, Barnes says a number of new security services are appearing covering data protection, data governance, security management and workload management. Forrester's research suggests the cloud security market will be worth about $2B by trend of the decade - a rapid acceleration from today's spending levels. The business world is changing. Companies have to allow more access in a world with increased, targeted attacks with higher levels of accountability. 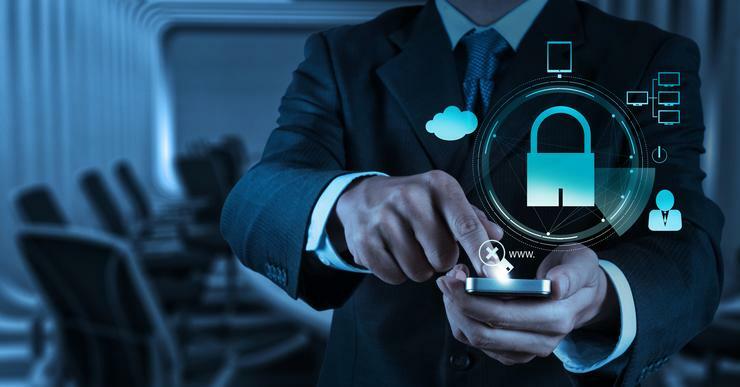 As a result, enterprises are aggressively pursuing new security models and frameworks that are driven by the business more and more, rather than purely by the IT team.